Cents per mile remains the dominant form of pay in the for-hire truckload sector, but its dominance is not as strong as it once was as fleets embrace alternative pay models that take cyclicality out of driver pay. 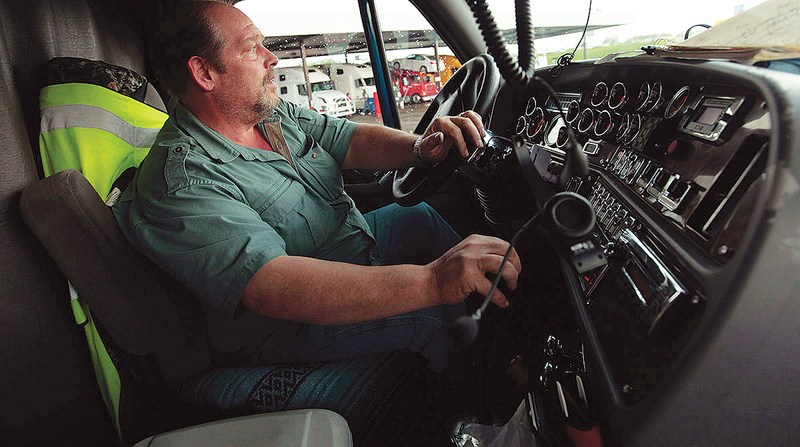 Fleets that have implemented new payment methods said drivers appreciate the steady income. At Smokey Point Distributing Inc., about 75% of drivers have switched over to a salary program that the carrier implemented last year, said Dan Wirkkala, president of the Arlington, Wash.-based flatbed carrier. Wirkkala said that throughout his 34 years with Smokey Point, he saw drivers coming in and asking for advances or having issues with their pay. Although they “loved to truck” and enjoyed the independence and freedom that the job provided, “they also had to earn a living,” Wirkkala said. Smokey Point’s salary program requires a mileage minimum and offers drivers at least $65,000 a year. Drivers can earn more based on tenure, with an 11-year driver earning a base salary of $77,000 to $78,000, Wirkkala said. Drivers also can earn accessorial fees and mileage bonuses. “Everything extra they accrue, which can range from $1 to $26,000, goes into their anniversary bonus bucket that is paid out every 12 months,” he said. A growing number of companies are offering salaries for over-the-road, longhaul truck drivers, said Bob Costello, chief economist for American Trucking Associations. “It isn’t a significant amount, but it is enough that I mention it,” Costello said, adding that the majority of fleets still pay by the mile, but some offer a variety of compensation packages. “It will range from cents per mile with bonuses, hourly pay or a salary,” he said. Mark Murrell, co-founder of CarriersEdge, creator of the “Best Fleets to Drive For” program, first saw guaranteed pay emerge for drivers five years ago. After that, the company started asking the distinct question, “ ‘Do you have guaranteed rate?’ There has definitely been a big increase in the number of fleets doing that,” he said. Today, 35% of the finalists in the “Best Fleets” program have some type of a full guarantee in place, Murrell said. Gordon Klemp, CEO of the National Transportation Institute, said he has seen an increase in guaranteed driver pay over the past 18 months. “It isn’t always the total amount of compensation that has been a problem with the driver. It is the fact it doesn’t come in a regular interval,” he said. Freight is seasonal and can vary significantly month to month, Costello said. In February 2018, there was a 4% to 6% decline from January because there are fewer days. “In March, you can see 10 to 15% increases,” he said. Jeremy Reymer, CEO of DriverReach, said pay instability can be devastating to drivers, and letting drivers know what they can expect on a weekly basis can help them make informed decisions. When John Wilbur, CEO of Roadmaster Group, joined the Glendale, Ariz.-based carrier in 2011, he examined drivers’ pay weekly for 52 weeks. In 2012, Roadmaster launched a hybrid salary program that offers drivers a base rate per day and a mileage bonus. “At the core of his pay is a daily base rate, so he knows if he is going to go out of the house and work for seven days, he is going to get at a bare minimum that pay every day,” Wilbur said, adding that driver turnover dropped by half once the salary program was implemented. Roadmaster, as well as Smokey Point, are part of Addison, Texas-based Daseke Inc., which ranks No. 29 on the Transport Topics Top 100 list of the largest for-hire carriers in North America. Roadmaster has three levels of base pay, based on drivers’ tenure and credentials. The highest level is about $1,500 a week, Wilbur said. Mileage bonuses start at 4 cents a mile and go up to 14 cents. Every year it increases a penny. Overall, Wilbur experienced an increased cost per mile in terms of how much the drivers were paid, but his overall costs decreased based on recruiting, marketing and insurance. Salaries and guaranteed pay programs give drivers the comfort of knowing they won’t be dinged for low freight, bad weather or bad traffic. Murrell of CarriersEdge, however, said some carriers are concerned that drivers aren’t going to work as hard if they know they’ll be getting paid. Smokey Point built in tools that allow it to stay on top of driver productivity in real time and monitor dwell time and mileage. “We can determine if it is operational decisions or driver performance that is causing that issue so we can be proactive,” Wirkkala said, adding that monitoring productivity has improved the fleet’s performance. C.R. England pays its drivers by the mile but offers several levels of pay for inexperienced drivers participating in its training program. During phase 1, drivers earn a salary of $560 a week. C.R. England, which ranks No. 25 on the for-hire TT100, increased pay for linehaul, over-the-road drivers earlier this year. England added that C.R. England saw strong improvement in driver retention and quality after its 2018 pay increase. England said the carrier also offers a strong benefits package, which it provides separately from the cents-per-mile rate. Driver pay can get complicated, ATA’s Costello said. Murrell said he’s stopped looking at specific bonuses. Murrell told Transport Topics that the driver shortage has encouraged fleets to get more creative with pay. Smokey Point’s Wirkkala has focused on ways to incentivize his drivers to recruit other good drivers. The fleet rolled out a cents-per-mile bonus that is paid to the recruiter for each mile the new recruit drives, essentially giving drivers the opportunity to create a downline similar to a multilevel marketing company.